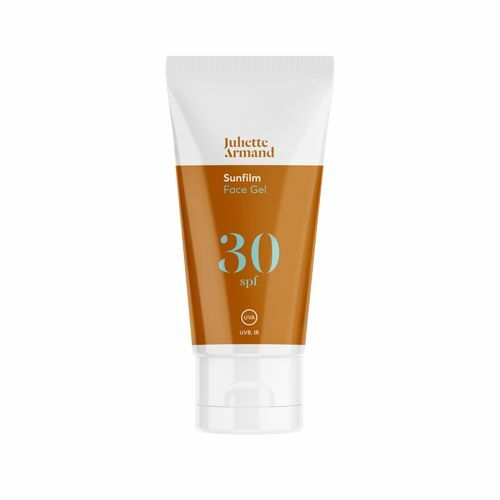 JA-Sunfilm Face Gel SPF30 is a soothing UV protection with a delicate texture that is absorbed quickly by the skin and does not feel greasy. JA-Sunfilm Face Gel SPF30 is a soothing UV protection with a delicate texture that is absorbed quickly by the skin and does not feel greasy. The powerful antioxidant action helps to prevent oxidative damage and supports natural skin regeneration. Indication : Very suitable for sensitive skin, oilier skin and for children, but can also be used for all skin types. 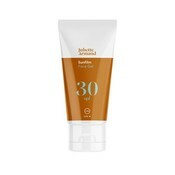 The use of sun protection with a factor of 30 is also an essential product to protect the skin after every intense treatment. Use : Make sure it is applied 15 minutes before sun exposure and re-apply regularly every 2 hours. Dit is de tweede keer dat ik het product bestel. De meeste producten om je tegen de zon te beschermen plakken heel erg en trekken niet goed in. Deze creme echter doet dit niet. Heeft ook nog eens een mooie lichte kleur. Kortom ik ben heel tevreden.